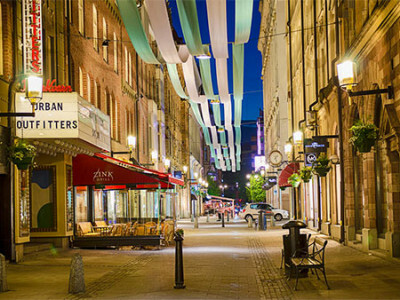 Sweden specialises in a lot of things: one of them is quirky, personality-rich shopping. 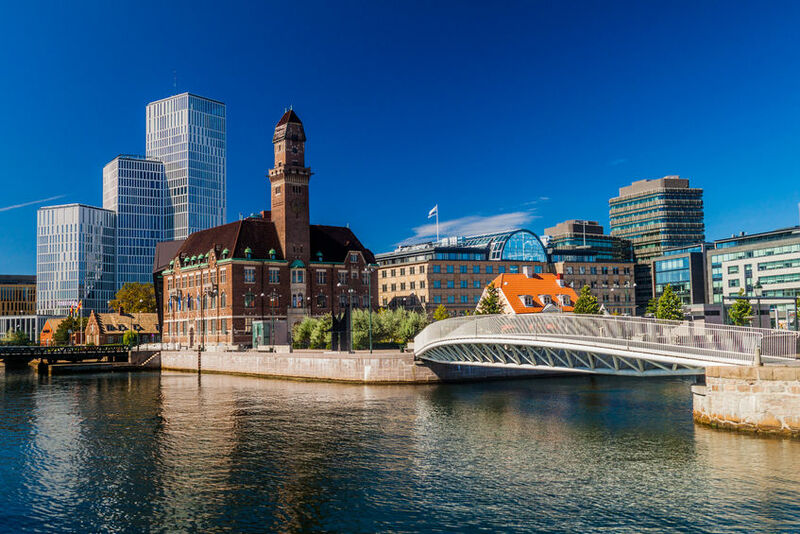 From cool-cat Stockholm to the dinky sweet-town of Gränna, the country’s cultural hotspots provide all the retail therapy you could dream of. Up-and-coming designers, boutique stores, unique homewares and Scandi handicrafts you won’t find anywhere else in the world. If you’re yet to shop Stockholm, you’re missing a treat. The fashion powerhouse of Sweden is bursting at the seams with contemporary Scandinavian wears. Local designers sit cheek and jowl with global labels at Birger Jarlsgatan and Biblioteksgatan house, while Skånegatan and Nytorget boast the best shops in Stockholm for vintage hunters. The buzz is all about the independent boutiques at Bruno Gallerian – and if you’re wanting a real Stockholm institution (and furniture fix), pop Svenskt Tenn on your map. Founded in 1924, it’s a delightful place to bag iconic furniture, textiles, china, vases, accessories and gifts. Where to stay: A 20-minute taxi from downtown Stockholm, Högberga Gård is a historic destination stay that allows you to enjoy peace and serenity in a stately mansion. From the Tuscan-style winery to the dazzling China Room, you’ll photograph it, gush about it, and try to copy it back home. Meandering the cobblestone walkways of Malmö always sets you up for shopping surprises. 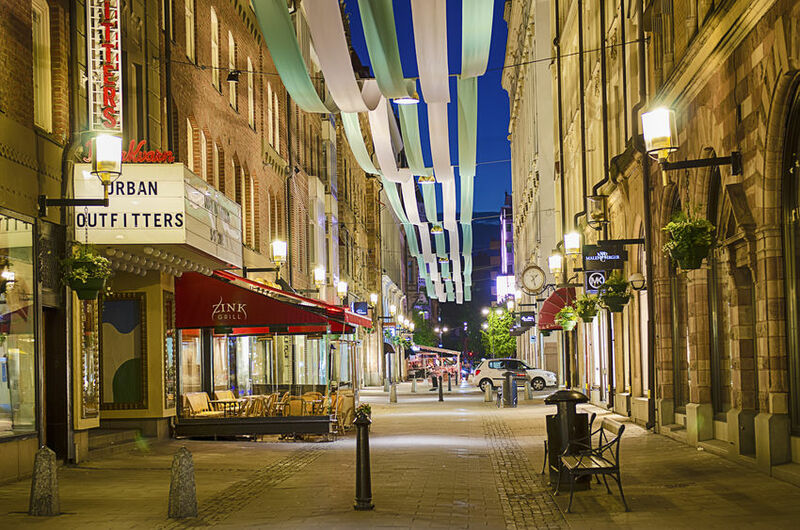 Trendy locals parade through Södergatan – the city’s main shopping run dotted with high street stores and vintage gems alike. The cooler, boutique-ier side of Malmö shopping can be found at Stora Nygatan. Local handicrafts and designer gear make up some of the best independent shops in Sweden here and you’re never far from a cafe or restaurant for a delicious power-up. Where to stay: Just a few miles away from Malmö is a magnet for city dwellers craving Swedish countryside. Möckelsnäs Mansion is a warm, bright, timelessly stylish stay plonked right on the edge of Lake Möckeln. With nature parks, beech woods, enclosed pastures, spiralling paths and heartstopping ravines – it’s an earthy, glorious escape from the day-to-day grind. Sweet tooths are in for a traditional treat in the storybook town of Gränna. It’s the birthplace of the iconic red and white candy canes we all associate with childhood and Christmas. Candy rock is known as ‘polkagrisar’ in Swedish, a name derived from 19th-century gentlemen using sweets to woo women into dancing the polka with them. Grenna Polkagriskokeri is Willy-Wonka-style haven; candy-everything in a hundred different flavours. Other candy rockstars include Franssons Polkagrisar, Polkaprinsen and Polkapojkarna – all bursting with nostalgia, charm and the perfect gifts to take home. Where to stay: Chateau Västanå revels in blending the old and the oh-so-now. Each room has its own personality: homages to the original 16th-century style of the manor house hotel, with a historic riot of features, fabrics and art. Don’t eat too much candy in town – the restaurant’s locally sourced three-course menu is proper lick-the-plate-clean fare.